The Star Wars franchise has spawned an entire galaxy of products including actions, figures, comic books, novels, video games, and countless more in the time since its inception. In 1994 Lucasfilm took on a massive undertaking that would reinvigorate the Star Wars franchise and open the way for The Phantom Menace in 1999, creating renewed interest in fans and the general public at large. Lucasfilm would do this by creating a multimedia project that would include a vast number of products tied to the overall story. Star Wars: Shadows of the Empire would add a vast amount of lore to that galaxy far, far away. The project would create a story set between the films The Empire Strikes Back and Return of the Jedi for the purpose of exploring the commercial potential of a full feature-length motion picture release without actually having to make one. The project was spawned from the circumstances Lucasfilm found themselves in 1994. 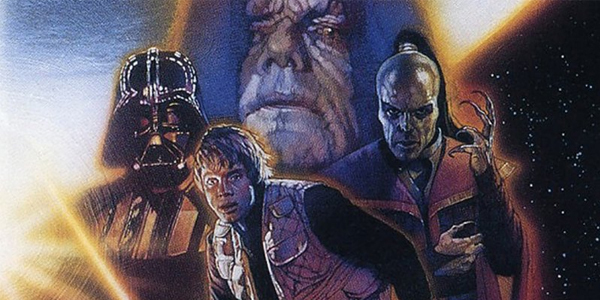 When Shadows of the Empire was first considered, it had been over a decade since the last Star Wars film in 1983. Although the franchise was still incredibly successful, it needed to be reinvigorated for a new generation. In order to successfully create such a large project that would maintain the high standards set by the franchise, it would be necessary to coordinate multiple parties towards the same goal. The first time the multimedia project was discussed was in 1994 during a meeting between Lucasfilm publishing director Lucy Autrey Wilson and Bantam editor Lou Aronica. A Star Wars crossover multimedia event was suggested by Aronica that would be the foundation of the Shadows of the Empire novel by Steve Perry. Later in that year, Lucasfilm met with other franchise licensees, such as LucasArts, in order to discuss the project and what media and marketing elements of a film release would be implemented without actually making a film. The main goal of the project would be to create new interest in Star Wars ahead of George Lucas’ 1997 special editions of the original trilogy and the release of the prequel trilogy in 1999. Initially, producers at Lucasfilm wanted the story to focus on the main characters between the time of A New Hope and The Empire Strikes Back. However, it was later suggested by game designer Jon Knoles that it take place between the latter film and Return of the Jedi. The main reason for his suggestion was that no Star Wars novel or product had ever explored that time period. The Shadows of the Empire project spawned countless products, each of which told a certain aspect of the entire story. Products included a novel that told the main story of Shadows of the Empire written by Steve Perry. The novel focuses on the main cast of characters from the films while introducing new characters. The comics released focused on Boba Fett and his fellow bounty hunters first scene in the film The Empire Strikes Back. The series was written by John Wagner and illustrated by Kilian Plunkett. There was even a successful video game released for the Nintendo 64 by LucasArt that highlighted the story of the mercenary Dash Rendar as he attempted to help Luke Skywalker and rescue Princess Leia from the evil Prince Xizor. Find Your Forces is the premier source for geek online dating for Star Wars singles all over the world. We bring together Star Wars fans from all kinds of backgrounds and have been helping Star Wars fans find the princess or rouge of their dreams. Sign up today and see just what possibilities being a Star Wars fan can bring for love.